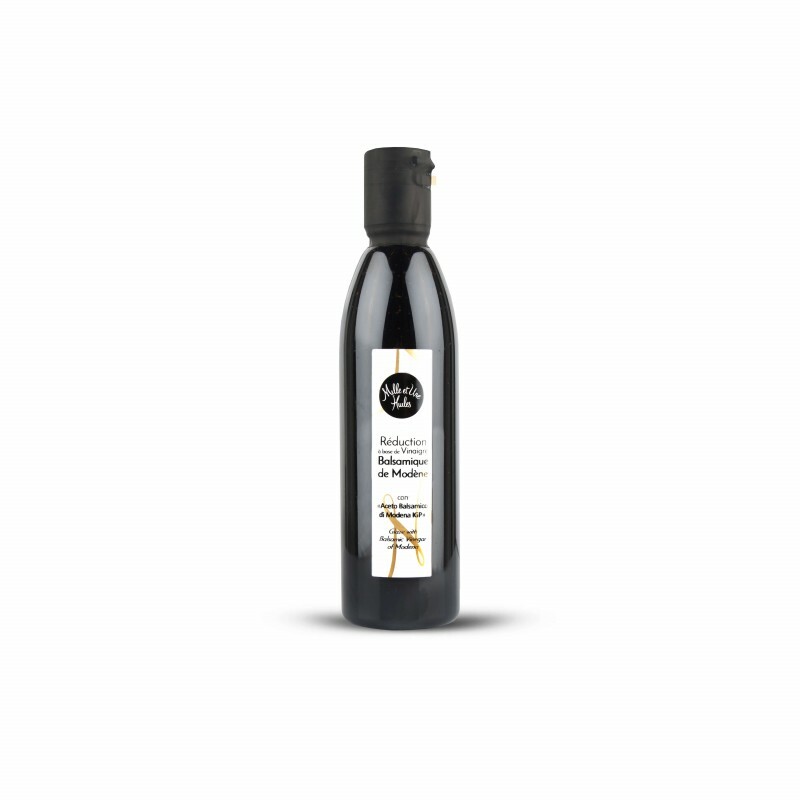 A dressing you must-have: intense and steady for a MasterChef effect. Obtained from Balsamic vinegar of Modena. A thick consistency and intense flavor. Ideal for decorating dishes or to give the final touches to meat or fish dishes, aged parmesan, grilled vegetables and desserts. 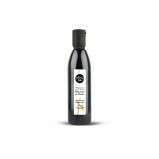 Aceto Balsamico di Modena IGP (Wine vinegar*, concentrated grape must*, cooked grape must*) 61%, concentrated grape must *, sugar, stabilizer: Xanthan gum 0,5%. *Contains sulphites. Nutritional values/100mL: Energy : 958/225kJ/kcal; Fat: 0g of which saturates: 0g; carbohydrates: 55,8g of which sugars: 55,8g; proteins : 1g; salt: 0,035g. Shake well before use. Refrigirate after opening.